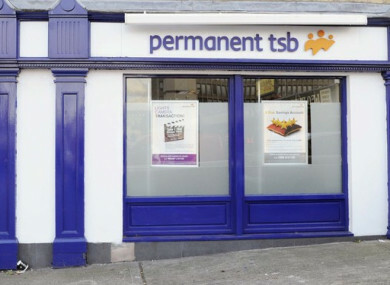 PERMANENT TSB HAS sold its controversial Project Glas loan portfolio to an affiliate of the so-called vulture fund Lone Star for around €1.3 billion. Today’s sale to Start Mortgages – Lone Star’s affiliate – has been criticised by the Irish Mortgage Holders Organisation as well as Fianna Fáil. Speaking today, Jeremy Masding, Chief Executive of PTSB said that protections which exist for homeowners transfer with a loan when it is sold. “Customers will continue to be afforded the protection of existing regulatory protections after the transfer,” he said. Last month, when introducing a new bill (written by Master of the High Court Edmund Honohan), which aims to keep people in Ireland in their homes, Fianna Fáil’s John McGuinness disputed such statements that protections to mortgage holders transfer with the sale of the loan. Responding to the news about the sale of the loan book, Taoiseach Leo Varadkar said he had not heard about the deal. Legislation that is coming in the next session will make sure that vulture funds are regulated much more so than they are now, or investment funds or whatever you want to call them so that those consumer protections exist. PTSB, which is 75% State owned, previously defended its plan to sell off the Project Glas loan. In February, Finance Minister Paschal Donohoe said he is conscious of the concerns of some homeowners who have engaged and reached a mortgage arrangement with PTSB, may not have their deals honoured by the buyer of the loan book. At the time, TheJournal.ie highlighted to the minister that some homeowners who have already made arrangements with the bank about paying their debt, such as split-mortgage arrangements, could have their deal thrown out if the loans are sold on. I am very conscious, as you have highlighted, that there will be people that have restructured their mortgages that will need to engage with the lender again in the future and I am conscious of the worry they will have. Fianna Fáil spokesperson on Finance Michael McGrath has said Start Mortgages must come before the Oireachtas Finance Committee to outline how they will deal with customers in arrears following today’s announcement. He said it would be much better if Permanent TSB dealt with the loans itself and made case by case decisions involving restructuring the loans, writing off debt in some cases and only taking enforcement action as a last resort. “While it is a positive at least that Start Mortgages is a regulated entity, there will be understandable concern among affected borrowers given its background as a sub-prime lender and the fact that it is owned by giant US vulture fund Lone Star. A key question is whether Start Mortgages will now offer a wide suite of restructuring solutions to borrowers in arrears,” he said. While calling for Start Mortgages to appear before an Oireachtas committee, McGrath pointed out that vulture fund Lone Star has disregarded the committee by refusing on several occasions over this past eighteen months attend. “Having bought these loans, they now have an obligation to come before us and explain what their strategy is for managing them. When the Minister for Finance is consulted on this loan sale, he has to ensure Start Mortgages makes itself available for parliamentary scrutiny and oversight,” said McGrath. He called for the swift enactment of Fianna Fáil legislation requiring loan owners to be regulated by the Central Bank, adding that changes to the Code of Conduct on Mortgage Arrears requiring loan owners to consider all possible restructuring options must be carried out. The Irish Mortgage Holders Organisation (IMHO) condemned the sale, stating that it is “reprehensible that Irish families have being thrown to vultures by a bank which only exists from State support and funds from the taxpayer”. “Today is a disaster for families who have tried to engage with the bank and found PTSB unwilling to agree to restructures that they can afford or which are workable and who now found themselves at the mercy of Loan Star,” said the group. IMHO said it is calling for the Minister for Finance, Paschal Donohoe, the banks and the Central Bank to finally admit that most of these people, and others in long-term arrears, simply cannot pay. Email “PTSB sells thousands of home loan mortgages to vulture fund ”. Feedback on “PTSB sells thousands of home loan mortgages to vulture fund ”.